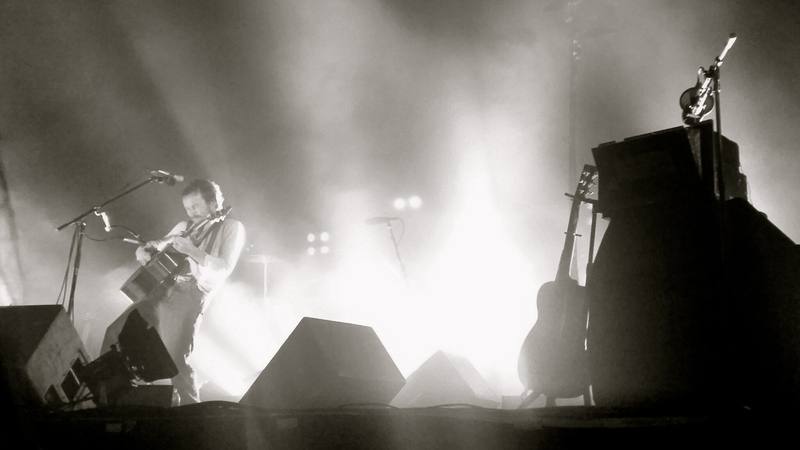 I’ve been lucky enough to see Damien Rice live..twice. The first time I saw him was in October of last year. It was the second-to-last stop on the US leg of his first tour in nine years. It was such a big deal that a friend and I flew to Brooklyn 14 hours after I flew back to the states after my stint in Germany. It was an incredible trip and an even more incredible show (Glen Hansard even made a special appearance!). I had always known he was talented, always known that he was a very special musician, and seeing him live solidified that knowledge. In October, I was still blissfully happy in a long-distance relationship that had started several months previously. We had reconnected after over a decade of not living in the same city, him being in Alaska and my home changing multiple times. Hours and hours of skype were part of every week, and my twenty-fifth birthday was spent in Anchorage with him. It was a relationship different than any I had ever experienced before. The communication was unreal. I grew to understand and know him better than almost anybody I’ve ever known. So at this concert, surrounded by songs that I thought were all about love, I thought they resonated with me. The relationship ended about a month later for a multitude of reasons, and I think I’m just now finally able to look back on everything with a sense of thankfulness for the good moments that did happen. Of course, there are still twinges of loss, but overall, I’m glad everything happened the way it did. Since then, any sort of romantic life I might have had has been in a very strange place. I don’t mean for all of my posts lately to be about relationships and romance, but for someone who’s spent the majority of her last nine years (excluding this past year) in a relationship, the mental adjusting to single-hood is a difficult one. Back on Damien-topic. The second time I got to see him was two days ago. I’m still on a concert high. Not only was I in a different emotional place, his raw emotion and connection to his songs was much more evident this time around. It was otherworldly. I brought a friend with me, and she and I sat in our chair in the second row enraptured the entire time. It was one of those shows where you just watch in awe of the artist on the stage. I’m fairly certain we both had slightly teary eyes the whole way through, and there were moments that his lyrics hit me and brought back memories from the past few years in vivid color. Memories of not feeling loved, memories of loneliness, betrayal, anger, sadness, but also memories of hope and learning to figure out what I want from life. If you aren’t familiar with his back story, Rice had a very tumultuous relationship with someone that used to play with him. It was a very passionate relationship, but major ups and downs came with the passion. Many of his songs are about that relationship, and most of them are not favorable. At one point in the show, he started talking about how he was asked about all of the love songs he had written. He mentioned that he went through the songs he wrote and noted that there was only one song really about love: “I Don’t Want To Change You“. The lyrics are a complete surrender, a total giving up of the selfishness many people tend to bring to the table in relationships without realizing it. In this past year, I’ve learned to really appreciate lyrics more than ever before. Being able to hear the background stories of some of his songs and seeing the different emotions tied into each song was key to bringing those lyrics even more to life. I feel like I’ve grown into a completely different person than even who I was a year ago. I’m constantly working on letting go of the cynical bitterness I feel like I’ve been using as a shield to protect myself from getting hurt and getting back to a place where I can unselfishly love people no matter how they might have treated me in the past. I’ve particularly been struggling with that the past month or two. These songs, this show, this phenomenal musician..they were a perfectly timed reminder to get back to the goal of forgiveness and love that I set for myself months ago.